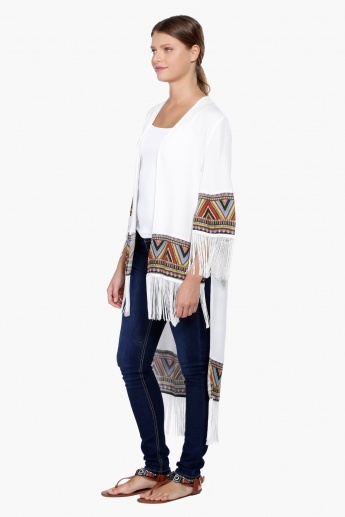 Set a style statement this season by wearing this charming shrug. 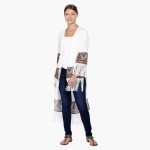 Sporting an attractive print, this shrug has a high-low hem for added appeal. 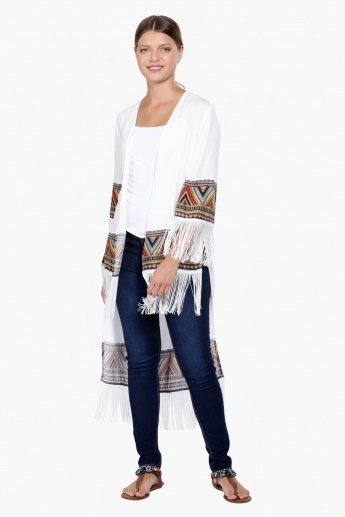 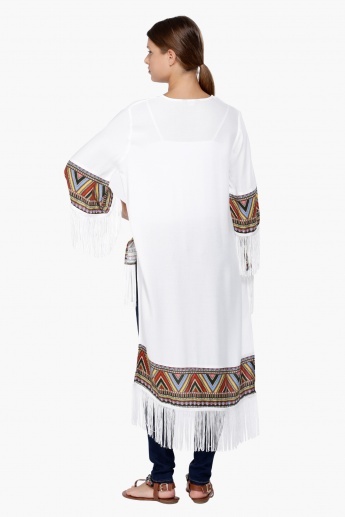 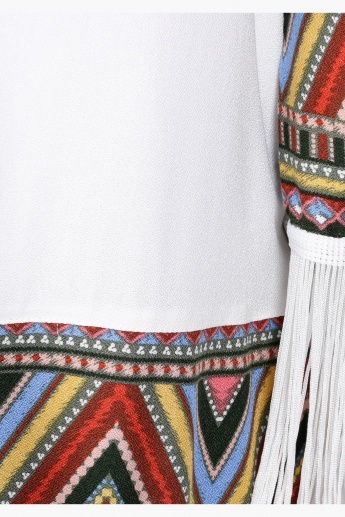 The fringes will give this shrug a casual and exciting look that is hard to be missed.